I originally made this thread for Uncreatable Idea seen below, however with more and more Music albums coming with high quality, but not being really games thus ending up overshadowed I've decided to give them a place in case anyone appreciates them as much as I do. If you found any music CDs like this or Elemental Quintet. please post them here, I'm really curious! 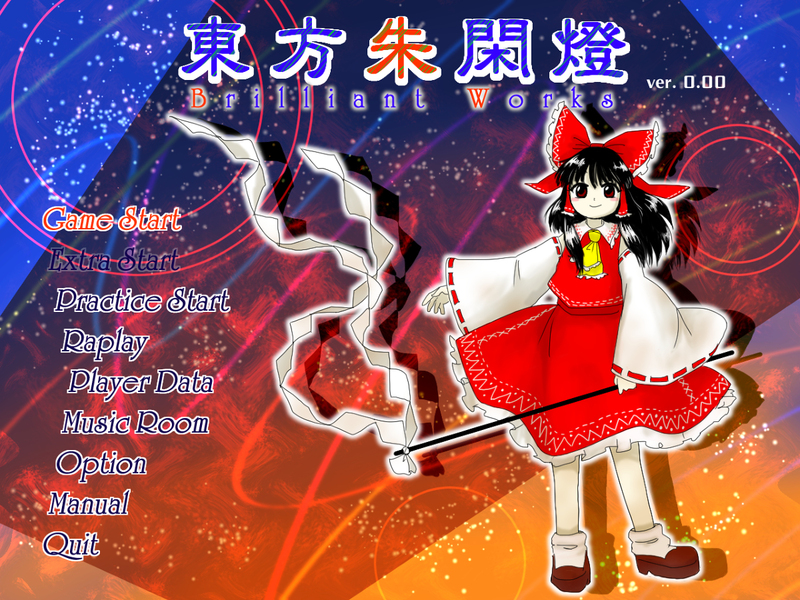 Once again, I'm not sure if this is the best place to share this, but user named Burnyho made a pretty nice replication of standard Touhou game formula, with story, music... well only without actual gameplay. The character art is made Ringo Nosuke. As of right it was released with 15 (16?) tracks and 6 stages with strong hints of extra stage being released soon. The project was written in japanese so I honestly have no clue what's going on in the plot, but I'm pretty sure the theme seems to be medicine/artificial people/science or how the author put it "I wonder if it's good to bring European science into the East" ? Also here's Soundcloud account with each individual song and nico one. Just wanted to share these and ask if anyone would like to help translating this? I'm legit curious about the story and I really love the soundtrack. Whoooa, this is really cool! and the music's pretty awesome. Thanks for sharing! I'm loving what I'm listening to so far! Thank you as ever for the translations Gilde! ♥ Oh man, I can't wait for the EX stage now. Thank you GIlde, this is amazing! Can't believe it just took you so little time. Also again, totally my fault, but thanks for clarifying final boss' full name. I couldn't tell if it was supposed to Ai (as in A.I.) or Al (as in Alphred/Alfred - since there were so many european names in this already). 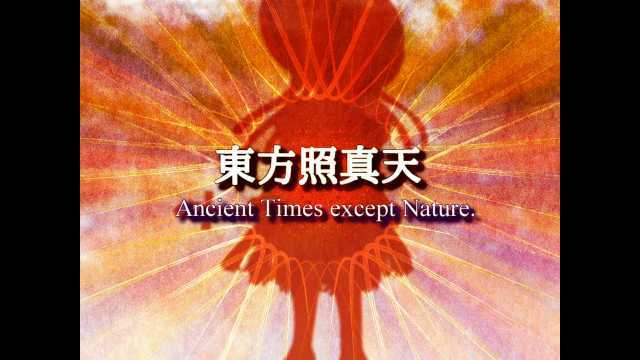 Also the plot kind of sounds like Touhou Forever - no youkai incident? HMMMM... I'm actually not surprised Reimu's the only main character this time. Marisa probably is still resting until youkai will start acting again. And also huge thanks for the bgm translation correction. To tell you the truth, I just took most of them from here thinking if author/someone translated it for Burnyuho it must be right. The only issue being the last two tracks, which I had to look up from soundcloud links and such. I'm really terrible with japanese as you see, but thank you. 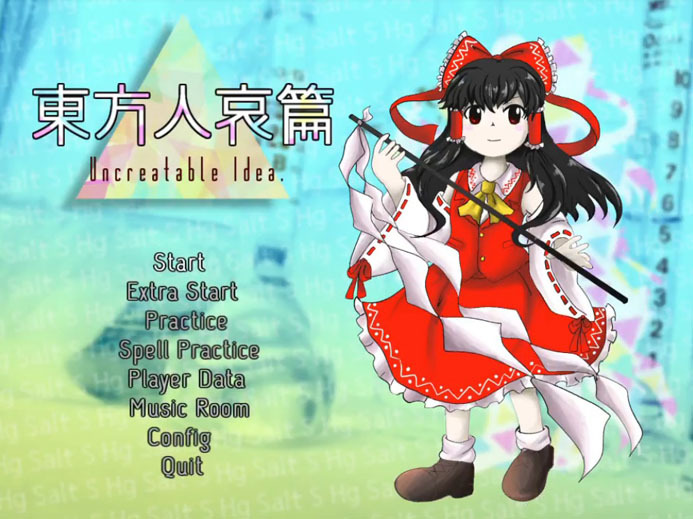 First things first: Extra stage to 東方人哀篇　～ Uncreatable Idea. has been released by Burnyuho. It's a pretty good way to end an already good package. If you liked the story and characters of the originals you might especially enjoy one character making a return. Oh and stage theme seems to be a remix of few ZUN songs already, pretty cool. No idea how to translate theme titles though. Whooa, this is really cool! Thanks for sharing Popcioslav! Do you know if Brilliant Works will be a proper fangame or just a fan album? Everything I shared and will share here is for 99,9% going to just stay as fan albums, just with fangame disguise. Book of Star Mythology is the only fan album to be turned into a fangame as far as I know. For some reason the evening glow has been stretching on for hours each day. Weird!! Let's go investigate!! Stage 2 boss is Kazari Kamakura, a kamaitachi. ...That's about it! She's just a plain ol' kamaitachi without any quirky twist or whatever. Not that there's anything wrong with that. Stage 3 boss is Yu Mikage, a youkai responsible for urban legends of "shadow people". Her shadow powers are strongest at sunset, so she's been enjoying the incident... but as she informs the protagonist, it's not real sunset. The flow of time hasn't been affected or anything; it's just that someone's emitting a huge amount of light well into nighttime. Off we go to find them! Also here's what the original JP titles for some of the songs are (the ones not listed are the same as the official English alt titles, just in katakana). That being said, huh, the Ex boss sure has a lot of obscure references to her spellcards. Most of them which I couldn't even find through google-fu. Still, that OST is 10/10, I'm loving it and the new album's too! Few things I've gotta hit on. Personally to me I don't mind weird references on Theophilia after all. Actually I really like the idea of Crime/Investigation involving youkais since due to their inhuman and often impossible powers they indeed would be capable of Perfect Crime, I wish something like that was done again, but better (I know White Names Spoiled Past did that, but again, I felt like it could've been handled better). Regarding the reference, I don't think the creator is like that, Theophilia most likely however. Even in the teaser before the extra video he posted this, which seems to be containing parts of "The Corpus Delicti" novel. All those references make her seem like someone who would be in an episode of "Making a Murderer" and I think it's interesting idea nonetheless? Someone appearing as a social stage 2 boss, there's no way they are actually a cold-blooded killer above the law, is there? I do think showcasing that truly the most powerful and disturbing things in Gensokyo are those small fries is a good narrative point. I was kind of hoping with ZUN doing this with Eternity after implying she's a Tokoyo no Kami, but he didn't really do anything of the sort so far. Also I was kind of hoping to learn more about Kazari because I did realize she was a kamaitachi even at the first glance, but I was kind of hoping there would be more to her. Ah well, at least it's funny she and stage 1 boss have some kind of relationship. I hope there will be more things like that with future game/album stories. Like stage 2 boss was a victim of stage 3 boss, which in return works for stage 4 boss and so fourth. It helps imo. Like in UC's case, the story is solid, but after reading the translation, Ai kind of came out of nowhere and the only relation to the plot she had was the she was mastermind's creation. Stage 4 boss is Ukyou Izumi, an entertainer from the Human Village who unwittingly became a magician in the process of honing her craft. She's particularly good with mizugei (traditional performance involving water sprays). The stage 6 boss is her protégé, who she's on her way to meet. 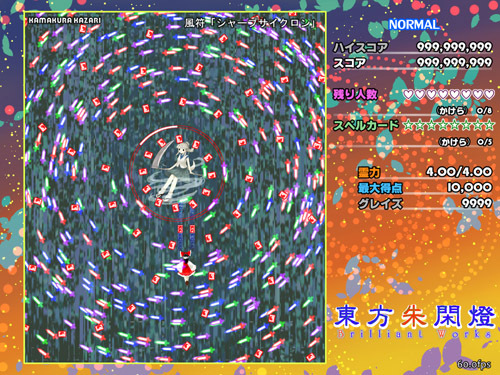 Stage 5 boss is Shizuka Udzuki, an owl youkai with the ability to erase sound. Unlike Luna, though, her powers obey the laws of thermodynamics, so the sound gets converted into light energy. This is the source of the massive light; there's been so much noise coming from the other end of the woods that Shizuka can't get any reading done, so she's been erasing it with her powers. (It's served as a nice reading lamp, in her opinion.) After beating her, she agrees to turn off her powers if we deal with whatever's been making the noise. Stage 6 boss is Ukyou's protégé Shushu Hinoya. She's a candle tsukumogami with the power to manipulate fire, and started studying fireworks (the source of all the noise) under Ukyou's guidance so she could make people happy in a way that she couldn't as an old, unused candle. Her fight with the protagonists is just a fun fireworks rehearsal from her perspective, but either way, it satisfies her enough to take a break from her current location and go practice elsewhere. Yeah seen it already, but didn't know if it's alright to post it seeing as there's no music for now. Still it's kind of cool to imagine what kind of songs these characters will have. ESPECIALLY Shushu Hinoya's.